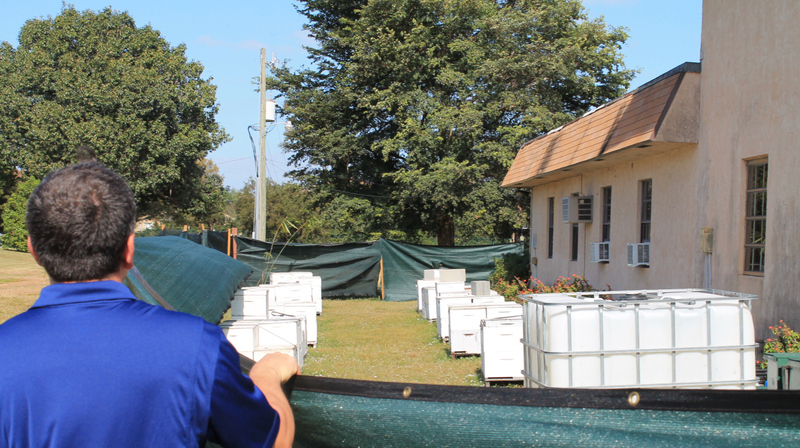 We have a humble apiary on acres of land in West Palm Beach County Florida. We are nestled in the western part of Delray Beach (unincorporated) across the road from farming fields that extend westward from our location. We take personal pride in everything we do. From taking care of our bees to providing you with quality advice and assistance to succeed in your apiary, we strive for excellence. I have enjoyed the participation of fellow beekeepers and beekeepers to bee. This program came in to existence through the natural progression of people wanting to learn about bees AND my desire to teach people what I know about bees. If you are interested in spending a day with me 9am-4pm we will work around the place; typically a morning in the shop on various work tasks, then after a lunch break (pack a brown bag lunch or hop out to a local lunch joint), we go through some hives together. The entire time is a question answer discussion session; sharing experiences. I am interested in your experiences as much as you might be interested in mine. We can also take some time coaching on getting you started or taking the next steps in beekeeping. In 2011 a neighbor of mine had a beehive removed from the one of his oak trees. I watched and got my first taste of natural honey by chewing on fresh comb. The following spring I purchased a beehive from the man who did the bee. A few months later I left for a 7 week trip and returned in July to find the hive in sad shape. Apparently they over filled the medium super with honey and the bees had swarmed. It was over loaded with Wax moth Small hive beetles and small hive beetle worms. I was able to harvest some honey out of the super. I proceeded to rescue the remaining bees. I ordered a Carnolian queen from Iowa, got a package of bees from my supplier in homestead and restarted the colony. I had a strong desire to learn about the bees and their life cycles but really had no one to learn from. I joined a few local web forums and couldn’t find anyone local enough to share some interest with. In searching craigslist I came upon an ad for someone desiring to winter their Virginia based Bee Farm colonies in south Florida. Bingo! I was delighted to offer space here in West Delray and glad to get a first hand mentor to work with. I also attended my first beekeepers association meeting and was delighted to find some more kindred spirits. It was becoming apparent to me that this community was one of helpful and kind people. It wasn’t a competitive cliché but a welcoming atmosphere where people are delight to share their trade; their knowledge, their time and resources. There seems to be a great cause that we all pull together on. The Bees I guess; a delicate and priceless resource designed by our Creator to sustain life on Earth. A few weeks later, My Mentor Jerry arrived and the genesis of the Bee Healthy Honey Farms was at hand. Jerry and I have aligned our synergies. His sense of bee business and my humorous lack of knowledge reminds me of an Abbott and Costello team. I have since had the opportunity to meet wonderful people of Florida’s agriculture; from those slugging it out at the state legislation to those tuned into the fine frequency of Bee colonies. I have truly found something to spend hours upon hours growing and developing. Currently in the winter of 2013 the bees are growing 30 hives for myself in addition to the 60+ my mentor is wintering with us. The growth is so strong we expect to be 200+ strong in early spring. We have had our first year of harvesting lots and lots of honey. We have the bottling routine down. the kids have fun putting labels on the bottles. Grace was the boldest in 2013 and was the first to get a bee suit to help Dad! Caleb got tired of using a Karate Ghi and a veil and finally got his own bee suit. It was purchased with the funds of his first honey sales! Thanks You! our first customers. Cherie last week got her first bee suit. It wont be long until you might see a Family Portrait with us all in bee suits. I am getting bolder and have gotten through days without wearing gloves. I might someday join the ranks of those t-shirt and flip-flops beekeepers...... maybe in a few years. This year is the year to gear up into Queen Bee rearing and mating system and create a greater in-Apiary self sufficiency. Pollination services are expanding. A humble entry into the business. I am grateful for those connections. On our farm we have between 50 and 100 hives. splitting and selling hives make the number bounce back and forth in that range. 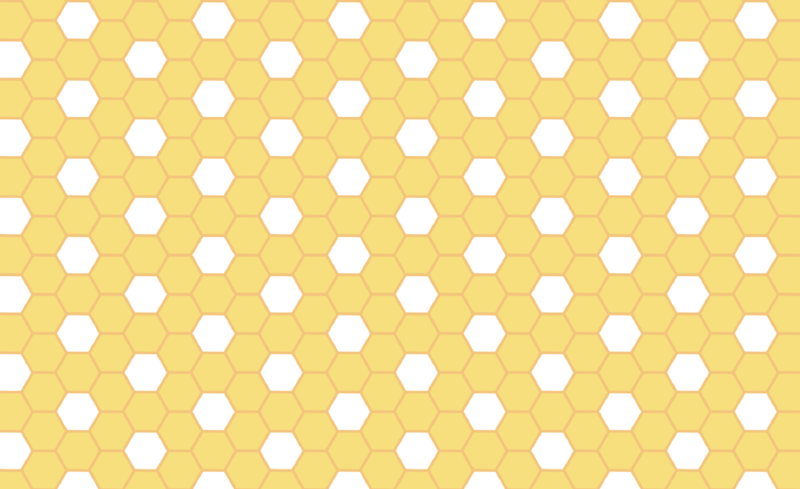 We are currently exploring the full spectrum of Beekeeping world. Will one color spectrum shin brighter than the rest? There will bee some decision making in the near future. But whether a focused niche or a large field the future is exciting!!! We are looking into the future to maybe commercializing our business and getting into the pollination industry. Special Thanks to all those out there in the Beekeeping Internet that have unknowingly help us along our quest for knowledge. 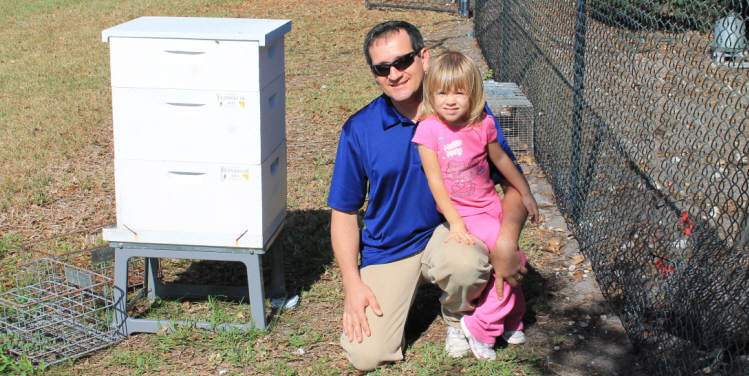 Thank you to the Palm Beach Beekeeper friends who have added incalcuable wisdom and support. And a Global thank you to those who are in Florida but not the Palm Beach county area -- you know who you are -- Special thanks to the BEE ORDER PATROL!